A colder and wetter winter has altered our normal patterns on Lake Jordan. 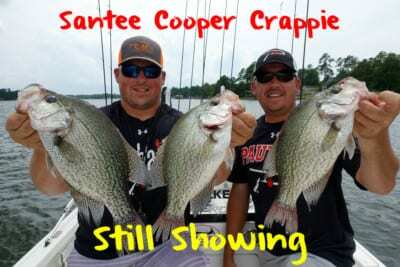 It’s kind of one of those years where some days we cant find the crappie. However, the fish that we are catching are huge. By huge I’m talking about catching four-to-six fish over two pounds per trip. We’re catching a bunch of fish bigger than 2.5 pounds. I’ve caught one three pound fish here in my life, but the way the size is this year I wouldn’t be surprised if we saw another three pounder. 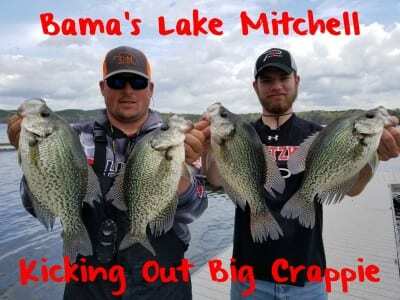 To be honest it’s been a tough bite on Lake Jordan. However, for anglers that want to catch the fish of a lifetime they are here to be caught, but you are going to work hard for them. Because of all the rain it’s been a weird year on Lake Jordan. In the past six to 10 years we’ve been able to catch fish here on brush year-round. However, this year there are no fish on brush right now. We are having to pull jigs out in the middle of the creek and river channels to catch suspended fish because that’s what they are at. 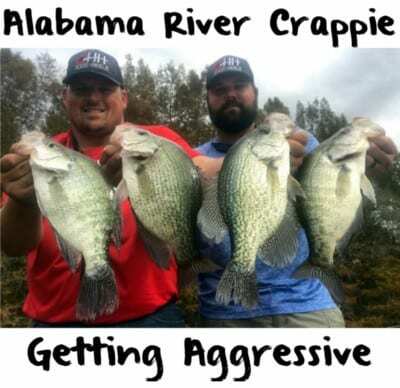 The crappie are scattered. You can still find a few fish on deeper piers here and there, but as far as structure goes, it’s empty. You can find some fish on deep channel and river ledges, but the numbers aren’t there like they have been in previous years. I know it has something to do with all the fresh water we’ve seen and the cooler weather. Our water hit 43 degrees this year and they’ve been running a ton of water through the lake. It the past we’ve only seen water this cold a few times and when it does get this cold it’s normally late in the winter. We’ve really had to use different techniques this year to catch fish. Our normal techniques haven’t been as effective. To catch fish we are shooting a few docks and focusing on the main river ledges to catch the big fish, which are coming off the main river ledges. When we are fishing the deep river ledges for the big crappie we are using an 11-foot Hurricane Howard jigging rods and employing a drop-shot rig tipped with a live Chartreuse Fire Dye minnow. Again, just to be honest, we aren’t catching a ton of fish, but this is how we are catching the big ones. I’m out there often and an average guided trip has only produced 15-20 fish. 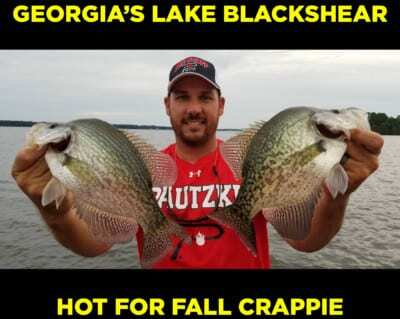 But, most of those crappie are a pound-and-a-half, or better. Editor’s Note: Eric Cagle operates C&M Guide Service. 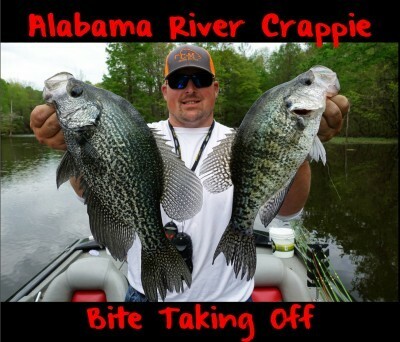 For more info on his guided Lake Jordan crappie trips please visit https://www.facebook.com/cagleandmcdonald.